Seems like both Lastpass and Bitwarden are experiencing these issues! probably more also!!! Lastpass breaks when you enable "strict site isolation". The extension gives an error that it was unable to connect to the servers after you enable that option. Go to about:preferences#security and enable "strict site isolation"
Lastpass enters offline mode because it can´t connect to the servers. 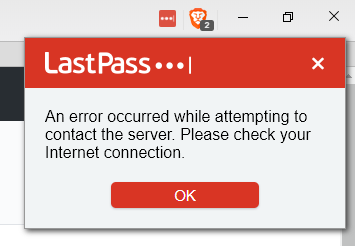 I observe the same issue with LastPass in Brave on Linux. Also, Pocket doesn't work in site isolation either. Just installed Brave today so this is on a completely fresh setup (with 'strict site isolation' on, was the first thing I turned on. Toggled it and a bunch of other settings and took me a little while to isolate the issue. 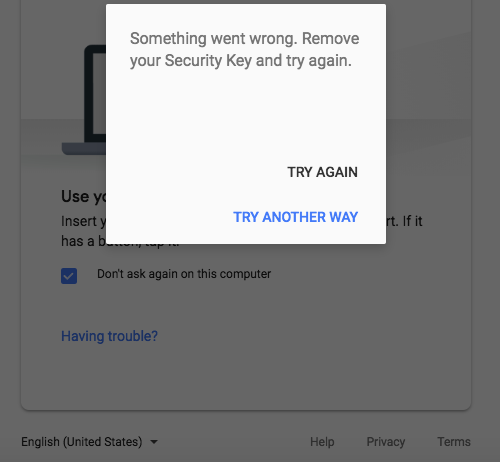 Enabling "Strict Site Isolation" breaks Yubikey U2F 2FA. Enter 2FA. Prompts user with error. See attached pics. On Tue, Sep 18, 2018 at 2:58 PM Brian Clifton ***@***. ***> wrote: Issues with strict site isolation are fixed with brave-core 😄 You can download the developer channel release here: https://brave.com/download-dev — You are receiving this because you were mentioned. Reply to this email directly, view it on GitHub <#12612 (comment)>, or mute the thread <https://github.com/notifications/unsubscribe-auth/AH0xNaZnP6T85Ho1QPOL9IJ7i3yxSlxAks5ucWyPgaJpZM4RbPqd> .